By Max Liboiron, Lindsey Dillon, and submitting authors. The following abstracts highlight work being done in the humanities and social sciences to query how the notion of a body burden has challenged and remade older scientific, legal, and policy frameworks on pollution, encouraged new understandings of the porosities of bodies, and altered the everyday experience of toxic risk and ambiguity. Synthetic chemicals in bodies raise questions about the assumed boundaries between bodies and environments, between industrial and personal spaces, and between “matter out of place,” “matters of course” and “matters of concern” in an environment saturated with industrial processes. The concept of body burdens also raise questions about the relationship between exposure and harm, the nature of informed consent, and vulnerabilities within heterogenous populations. The practices of biomonitoring can enable the democratization of knowledge of environmental toxicity but also the individualization of risk – particularly in the absence of effective state regulation of industrial chemicals. Finally, given that all humans now carry some form of body burden, notions of health and safety premised on acute exposures are shifting to notions of chronic exposure, though this shift is occurring unevenly across stakeholder groups (Kai 1994). We intend these abstracts, collected through a public call, show the breadth and depth of research dealing with the ramifications of externalizing wastes to living, bodily sinks. Once the heart of American Plutonium production, Washington State’s Hanford Nuclear Reservation is now the nation’s most contaminated landscape. Tasked with the largest environmental remediation project in human history, Hanford is legally mandated to implement cleanup actions that will remain effective for the next ten thousand years. However, “clean”does not necessarily mean “uncontaminated.” According to Superfund Law, nuclear landscapes are considered officially “remediated” once acceptable carcinogenic risk levels have been met. The challenge of remediation, then, is to measure and manage the conditions of carcinogenic encounter—controlling not only the site’s contaminants, but, more importantly,the future humans that will inhabit remediated space. Thus, deciding who will live in a post cleanup Hanford is a critical part of the official cleanup process.This paper follows the genesis and development of Jane, a subsistence farmer designed for life on Hanford’s remediated land. Jane is one of eight prospective human types detailed in the Department of Energy’s Human Health Risk Assessment for the Hanford Nuclear Reservation. She embodies a distinct set of regulated movements and activities—each specifically calculated to ensure legal compliance within the terms of “acceptable” risk. If selected as Hanford’s future human, Jane will abide by federally-approved practices for ensuring human health and safety—regulating her breath, sleep, eating, drinking, bathing, and ultimately, her exposure— for ten thousand years. 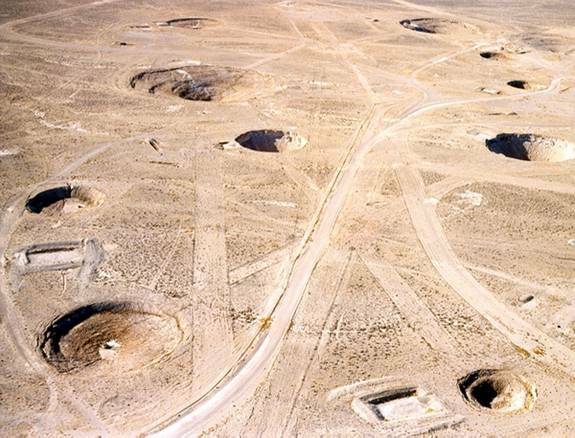 By tracing Jane’s genealogy and the impact of her implementation in remediation policy, this paper engages the history of U.S. radiogenic risk metrics to critique the nation’s officially-imagined nuclear future. U.S. Department of Energy, River Corridor Baseline Risk Assessment, Volume II: Human Health Risk Assessment. DOE/RL-2007-21. U.S. DOE, August 2011. In the environmental disaster following Operation Crossroads, the U.S. military saw how radiation was not simply a waste product of the atomic bomb but a weapon itself, requiring new forms of national defense. The Naval Radiological Defense Laboratory (NRDL), which operated at the Hunters Point Shipyard in San Francisco from 1946-1969, grew out of attempts to decontaminate irradiated warships from the Marshall Islands – a thoroughly new problem of the age. From its initial set of ad hoc experimentation on warships-turned-floating labs, the NRDL was tasked with developing tactics and technologies for protecting the Cold War soldier in the event of a future atomic war. At the same time, it systematically exposed shipyard workers to radiation, blurring the distinction between warfare and scientific research. This paper considers the notion of a body burden in a double sense – as the amount of radiation an individual can safely absorb without appreciable bodily harm, and as the social geography of national sacrifice, the question of which bodies bear the burden of war, or who is (not) protected in the service of “national defense.” Based on the lab’s records at the National Archives in San Francisco, this paper shows how, at the very moment the lab was developing manuals for atomic defense, increasingly precise instrumentation and techniques for radiation detection, and protective gear for soldiers in the field, the work of operating a radiation lab on an active, windy shipyard was messy, laborious, and accident-prone. The burden of “radiological protection” of the future atomic soldier was thus absorbed by the actual bodies of manual laborers at the Hunters Point Shipyard. 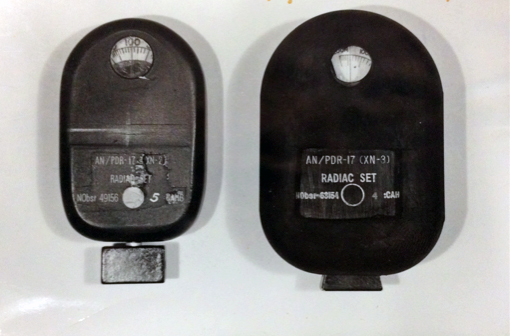 Radiac Instruments used by the Naval Radiological Defense Laboratory, in San Francisco. Courtesy of the National Archives, San Francisco Branch. Based on three years of ethnographic and historical work at an asbestos waste dump site in Ambler, Pennsylvania, this paper explores shifts in how and where asbestos has been monitored over time, to explore changing links between bodies and place through occupational and environmental health sciences in the town. First a wonder product, then occupational risk, then “problem of the past,” asbestos has been monitored in different places in the region from: not at all, to workers’ lungs, and in the 2000’s, in cancer registry and air monitoring data. Drawing on in-depth interviews and participant-observation with 30 staff members at environmental and public health agencies working on site, review of agency documents and local news coverage over time, and 45 interviews with community residents, factory workers, and family members of past workers, this paper explores why and how monitoring shifted from lungs (in occupational health assessments in the 1960s and 70s) to environment (in the 1980s, and again in the 2000s). I argue that in reconfiguring asbestos as posing a risk of environmental, rather than occupational exposure, asbestos became first a problem again outside factory walls and workers’ bodies and then “containable” environmentally, making risk assessment and risk remedies into solutions to intertwined perceptions of “blight” and “environmental risk.” Exploring blight and risk, I reflect on meanings of community building and belonging in contested attempts to imagine potential futures on top of the soon-to-be remedied asbestos waste dump site. 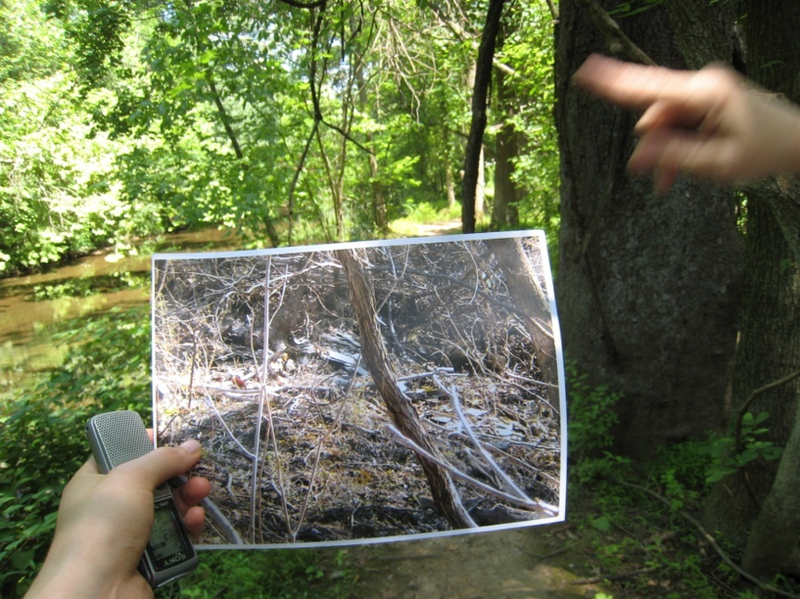 Linking old photographs with walking tours to help visualize potential asbestos waste under the soil and spring growth. Photograph by Britt Dahlberg. In the mining centers of Central Peru, biomonitoring studies of childhood lead exposure permitted the issue to emerge as a public health crisis over the past ten years. My paper examines how this controversy unfolded in two culturally dissimilar regions of Peru: an Andean mining center and Peru’s primary seaport. Though both regions discursively constructed similar imaginaries of vulnerable “children-in-exposure”, their representations diverged when describing lead’s effect on human development. The Andean “little mongoloid” and the Coastal “delinquent” emerged as regional archetypes at this political juncture, both signaling to lead’s purported effect on human subjectivities, but through the use of different historically situated narratives of cultural difference. This paper thus discusses how lead’s material indeterminacy as a neurotoxin, with a myriad of possible psychological manifestations, seems to permit its “semiotic capture” by cultural tropes that explain prevailing societal trepidations, in this case about the urban, racialized poor of these regions. Thus as biomonitoring generates a publically salient vocabulary to talk about lead “objectively”, animating new political potentials among marginalized communities, it does so at the risk of engaging with stigmatizing representations of the urban poor. It also perhaps forecloses other forms of debate to address the causes of crime, violence, and social alterity. Finally, I conclude by addressing the difficulties of translating biomonitoring studies from politics to policy, when there is a lack of legal framework to create significant material change in these contaminated spaces, as is the case with Peruvian soils. Linda Nash has written about the difficulty of using race as a variable in epidemiological studies of farmworker health because farmworker histories have helped produce race as a meaningful epidemiological category to begin with. Recent research in environmental epigenetics provides important evidence for Nash’s insight by showing how environmental exposures and nutritional deprivation affect genetic expression and health outcomes intergenerationally. Through epigenetics, that is, it becomes clear that material bodies have histories. Yet given the protracted temporality on which epigenetics sheds light, the easy attribution of diseases and malformities to spatial exposures is easily defied, especially for a population that is mobile by definition. In effect, political and biological vulnerability work in tandem in the case of an undocumented immigrant labor force. In this paper we discuss some of the key findings of epigenetics and what it implies for spatial epidemiology. We then draw on our own research on soil fumigants in strawberry production to show how the uncertainty of exposure has played out in the regulatory and adoption politics of alternatives to methyl bromide. In short, we suggest that one of the reasons that highly toxic fumigants remain thinkable owes to the uncertainties that arise precisely because the distance between exposure and manifestation is both spatially and temporally attenuated. In 2001 the Centers for Disease Control released its first National Report on Human Exposure to Environmental Chemicals. That report made public, for the first time since the program began over thirty years ago, data from the CDC’s National Biomonitoring Program (NBP). Interest in implementing biomonitoring programs since the CDC’s first report has been significant. California enacted the first statewide biomonitoring program in 2005 and many more states are considering similar programs. Biomonitoring scholars and advocates assert that this is a positive development that can radically change how toxic chemicals are regulated. This claim, however, rests on several fundamental assumptions about biomonitoring data that can benefit from a historical perspective. What were the material conditions (social, economic, technological) that made biomonitoring programs such as the NBP possible? What alternatives, such as environmental measuring, did they complement or displace? How has NBP data shaped environmental research? What assumptions about the body inform the program and the ways in which the program is promoted? Answers to these questions will help place biomonitoring within its larger historical context, which is to say, understanding it as one type of data—unique although not necessarily “better” or more advanced—about pollution, the body, and the social order.In this paper, I will present my research on the NBP which includes interviews with CDC scientists, examination of documents in the CDC library, and analysis of the published research papers utilizing NBP data. Key to this history is a history of the National Health and Nutritional Examination Survey or NHANES, also housed in the CDC, which is where the NBP obtains its tissue samples for analysis. Thus, part of my historical narrative situates the NBP within a larger “biopolitical” context of which the NHANES, a national survey over fifty years old, is part. In the early twentieth century, as most American municipal governments created sewage systems that terminated in rivers where they also drew their drinking water, how to determine if a waterway was polluted, and to what extent, became a pressing concern. Different definitions of pollution proliferated, looking for “the arbitrary line” between pollution and non-pollution. A solution was found by calculating assimilative capacity; the amount of pollutant a waterway could handle before harm occurred. Over time, a quantified assimilative capacity was also leveraged to explain the age-old adage in toxicology that the “danger is in the dose.” This “natural threshold” of harm in both rivers and bodies was identified, calculated, standardized, and codified in pollution regulation. This presentation covers the rise of assimilative capacity as a technical hallmark of pollution definition and thus of pollution control in both landscapes and bodies, and how it is now being defied by twenty-first century waste like plastic pollution and endocrine disruptors. Assimilative capacity for rivers and bodies is based on the amount of contaminant that can be absorbed before harm occurs. Here, that moment is marked with “NOAEL,” the No Observable Adverse Effect Level. All of life is chemical. But not all chemicals are compatible with life. Since their earliest origins, cells have excluded, transformed and excreted toxic chemicals as a means of regulating chemical burden. We inherited our ability to repair DNA, defuse highly toxic oxygen products, and metabolize plant-based pharmaceuticals from a long line of ancestors that routinely dealt with exposures to toxic chemicals, such that chemicals once lethal to living things are no longer lethal, or in some cases have become essential. But these protections developed over hundreds of millions of years, are they still protective in today’s industrialized world, with today’s chemicals? While some systems will no doubt kick into action when faced with new, synthetic chemicals, or large concentrations of age-old chemicals, others may be exceedingly sensitive to novel chemicals (or those novel to us) particularly if they “look” like naturally occurring chemicals. Taking the long view and exploring the evolutionary history of chemical exposures and life’s responses is intended only as a first step towards developing a deeper understanding of life’s capacity to absorb, excrete and respond to both naturally occurring and synthetic toxic chemicals, as well as the limitations of these responses, and the consequences of exceeding limitations. Over the past decade, scientists at the U.S. Environmental Protection Agency’s Office of Research and Development (ORD) have been trying to understand and prioritize chemical toxicity and risk in new ways framed as necessary in the 21st Century (NRC 2007, 2012). Central to their efforts are techniques that allow for the observation of chemical effects in cellular and biochemical testing systems—rather than solely in the intact bodies of laboratory mammals—and computational and predictive methods for characterizing both hazard and exposure scenarios. Today, agency scientists are working to couple these diverse, emerging approaches from toxicology, exposure science, and bioinformatics to support regulatory prioritization of chemicals. In this paper I suggest that at the heart of this process is the work of parameterizing and relating internal and external environments and the parts and wholes of animals and humans. This observation furthers and introduces new dimensions to questions of scale, kind, and degree that have been thematically central to historic, geographic, and anthropological inquiry into chemicals and pollution (e.g. Cutter et al. 1996; Fortun 2001; Petryna 2002; Swyngedouw and Heynen 2003; Mitman, Murphy, and Sellers 2004; Hayden 2012). Drawing from ethnographic documentation and analysis of these practices, I argue that scientific characterizations of chemical-human relationships are today being made to rely equally on the production of difference and the production of equivalence across biological, social, and chemical categories. The views expressed in this abstract are those of the author[s] and do not necessarily reflect the views or policies of the U.S. Environmental Protection Agency. I seek to analyze the multiple meanings of the body burden in relation to radiation and other toxicants. I seek to capture the meanings of “burden” as they relate both to the concept of permissible doses as well as the concept of responsibility. These converged in the post-Cold War attempts for compensation for exposure and illness. I argue that people who worked at or lived near a secret research facility in Southern California, claiming exposure to radiation and other toxic chemicals and seeking compensation following the Cold War, entered into a labyrinth of denials of responsibility. First, no one has been able to account for the combined exposure to radiation and other toxicants. I look at federal compensation programs, specifically one which addresses nuclear workers, as well as tort litigation. While “sovereign immunity” has been given some attention, claimants encountered multiple obstacles beyond this one doctrine. Moreover, I analyze the practice of dose reconstruction studies and the concept of “statistical significance.” While federal agencies and private corporations have often, but not always, successfully evaded responsibility, victims have often assumed various kinds of responsibilities (like the assumption of guilt), in addition to the burden of exposure. I have drawn specifically from Esposito’s Immunitas which has complicated the more common approaches to the subject of biopolitics. I also borrow insights from a number of scholars like Jane Bennett, Stacy Alaimo, and Joy Parr. I also engage legal studies, specifically the work of Austin Sarat and Carl Cranor. 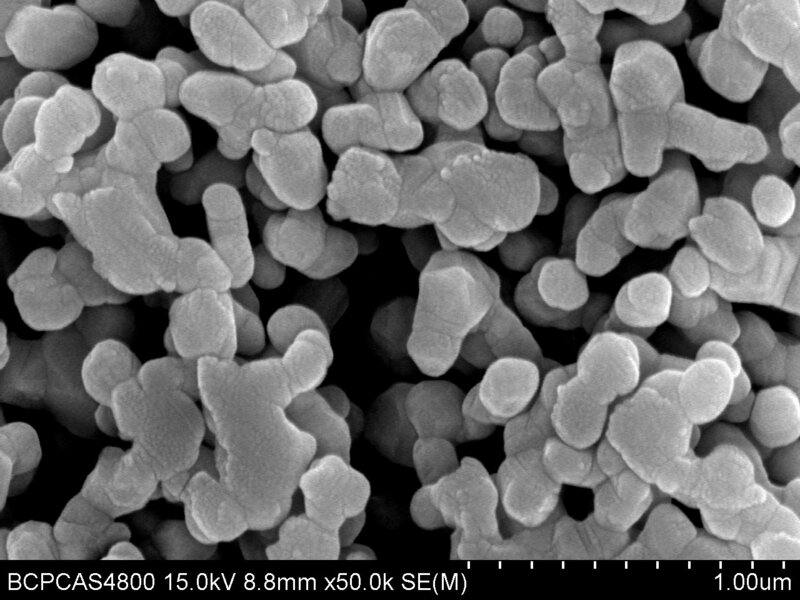 This work considers public involvement in the regulatory process for nanotechnologies by critically examining an attempt to mount a public-interest legal challenge against the UK Health and Safety Executive for failing to properly enforce the European Biocidal Products Directive in relation to nanosilver consumer products. The temporal gap between innovation research, knowledge of implications, and regulatory action can often be decades (Owen 2011). Key stakeholders within civil society are frequently positioned to identify certain relevant problems earlier than governance, regulatory, and investment actors. They might thus limit a dilemma of control (Collinridge, 1984) – where technology at an early stage of development provides opportunities for control but insufficient evidence of impacts to justify or direct control, whereas greater maturity in the development process provides sufficient evidence of impacts but the technology has become ‘locked in’ after widespread application. This presentation reflects on the challenges encountered by civil society publics in pursuing a judicial review challenge in the UK between 2008 and 2010. For more: Reinsborough, M. T., & Sullivan, G. (2011). The Regulation of Nano-particles under the European Biocidal Products Directive: Challenges for Effective Civil Society Participation. European Journal of Law and Technology, 2(3). Four decades of Soviet nuclear testing left behind a legacy of radioactive contamination in a sizable area of contemporary Kazakhstan. The nuclear proving grounds became large open-air laboratories, workplaces for thousands of researchers who were essential in carrying out clandestine Cold War experiments. Scores of unsuspecting Soviet citizens became subjects of radiation research in a highly orchestrated biomedical experiment. Bodies were purposefully subjected to nuclear trauma in an effort to calculate the resilience of human biology against the effects of high and low dose radiation. Currently there is a belief among a number of medical doctors that forty years of Soviet nuclear testing in Kazakhstan has produced human mutants, whose sexual reproduction will give momentum to an intellectual catastrophe if a regime of “genetic passports” is not put in place. At the same time, however, those who have survived Soviet nuclear “war games”—everyone who was born or lives in and around the polygon—claim to have adapted to present-day radiation and cannot live without it, even though it makes them ill. In this conference paper I explore biomedical narratives about health, illness, and the body as they relate to radiation exposure from nuclear explosions that occurred at the former Semipalatinsk nuclear test site in Kazakhstan. Specifically, I consider how the scientific uncertainty and debates about the effects of low-level chronic radiation exposure have created unique social responses after the Soviet collapse. Semipalatinsk was officially closed on August 29, 1991. In 1999, the Centers for Disease Control and Prevention (CDC) established the National Biomonitoring Program to track Americans’ exposures to a variety of environmental chemicals. Since then, the CDC’s biomonitoring program has flourished. Scientists working in the lab have measured hundreds of chemicals and/or their byproducts in the blood and urine of nationally representative samples of the U.S. population, and in doing so, have transformed the way we think about chemicals, everyday products, and bodies. Until the establishment of the National Biomonitoring Program, exposure assessment occupied a largely marginal position within the organization, and was regarded mostly as a tool to support broader scientific investigations. The creation of the National Biomonitoring Program not only formalized biomonitoring at the CDC, but also reflected broader shifts within the environmental health sciences. This paper examines the rise of the National Biomonitoring Program at the CDC and links it to an uneven, yet enduring, institutional expertise in exposure assessment cultivated over the latter part of the twentieth century. I highlight how events and developments in the 1990s worked to move biomonitoring from a supportive tool to the center of a national program. 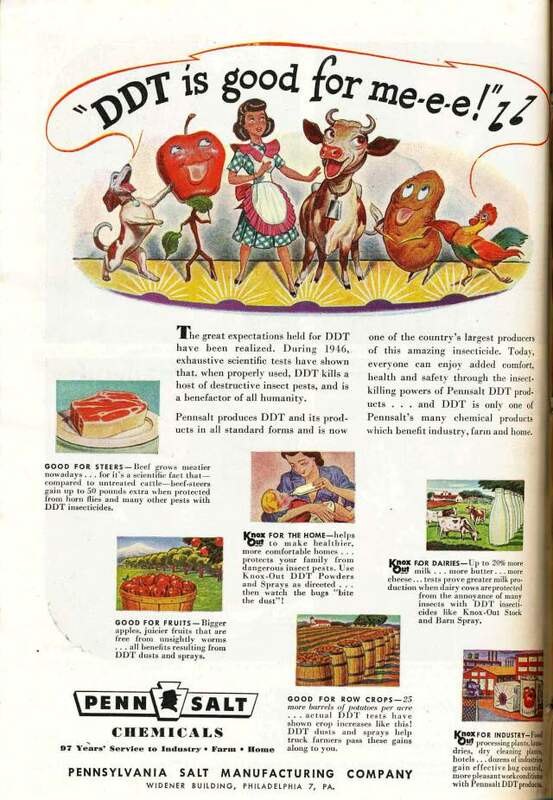 From Time Magazine (June 30, 1947). These abstracts were submitted in response to an open call. If you do similar work and would like it to be highlighted on the Discard Studies Blog, consider submitting a guest post. This entry was posted in Difference: Class, Race, Gender, Disease, Purity/defilement, science and scientists, Technology, Waste and tagged biocitizenship, biomonitoring, body burden, pollution, radiation. Bookmark the permalink.